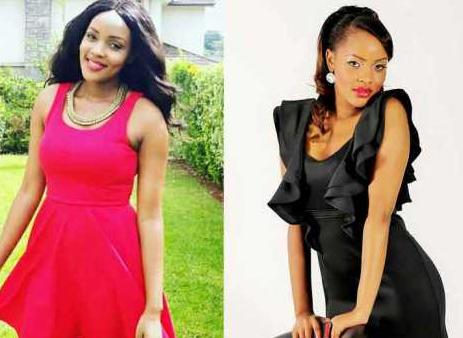 Citizen TV presenter Joey Muthengi would go straight for a rich older guy than wander around with a broke younger guy. The 10 over 10 host, who is rumored to be dating a moneyed guy, shared that dating a broke guy is one of the riskiest things women do because they don’t know how he’ll change once he gets the money. It also doesn’t have security. 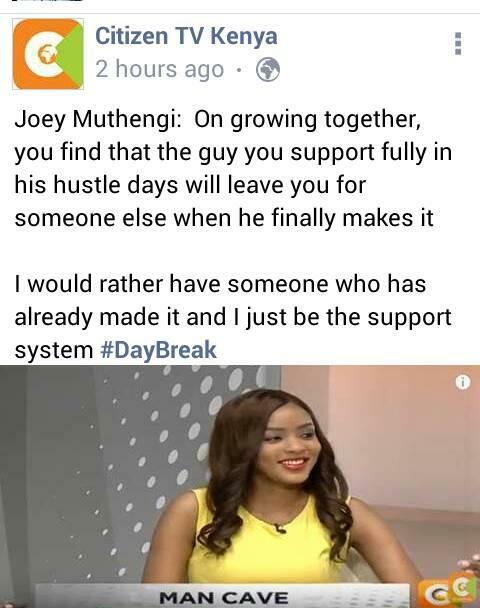 Speaking during Citizen TV breakfast show, the 33-year-old revealed in a heated argument that she would rather date older men who are rich rather than struggle with a young promising guy. Her comments left co-hosts Willis Raburu and panelist Roy Karuhize rather surprised. “As a consumer of older men there is just like stability in that, or reassurance that they know what they need out of life, have learnt the lessons that needed to be learnt. They are even able to share their knowledge. These young guys are only good in pictures,” said Muthengi.